Russian mobster Mani Chulpayev stands accused of putting out hit out on rapper Lil Phat in a drive by that resulted in the death of the rapper as he sat outside a hospital. Last June, Lil Phat was about to go into an Atlanta hospital to witness the birth of his child when his life was cut short in a drive by shooting. He was supposedly talking to police about Chulpayev selling stolen cars. Local Channel 2 provided invaluable information to police in their investigation, which focused on Chulpayev’s Atlanta car business. 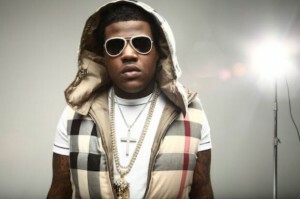 Lil Phat was leasing a BMW and an Audi from the accused. Chulpayev proclaimed his innocence through his lawyer. who incidentally was also Lil Phat’s lawyer when he was alive. Lil Phat was a Trill Entertainment rapper.